Erica Ortiz started breaking records in 2003. As a drag race driver, Ortiz became the first woman to break the eight second and 175 mph barriers, before she had even made it to the pros. Two short years later, she beat her previous numbers, hitting the “six-second zone” and 180 mph at the FFW drag racing championships. Following her inspiring career, her personal website, Horsepower & Heels, morphed into a resource for other women racers. The world of car racing is complex, with a dozen different breeds of competition. Sports car races consist of long distance drives (at least 621 miles) and are held on closed circuits; additionally, each car usually has a team of drivers. On the other hand, stock car racing (NASCAR) takes place on oval tracks that measure approximately a quarter mile, and can last anywhere from two hundred to six hundred miles. Drag racing, however, is the sprint of motor sports, requiring drivers to achieve “all-out acceleration” for the quarter mile race. Drivers are also welcome to bring whatever car of their choosing to the competition – “from your mom’s soccer van to a 10,000 horsepower top fuel dragster,” as Ortiz notes. Unique from most motor sports drivers, Ortiz developed her love of racing entirely on her own. Despite the void of racers in her family, cars have fascinated her ever since she was a child. After graduating high school in 1998, Ortiz decided to pursue her passion. She bought herself a Mustang, started reading car manuals, and got herself a job at an auto shop. “I did anything to get experience,” she proudly declares. “I wasn’t traditional, so I had to find my own way.” Luckily, with the help of a mentor, Ortiz was entirely self-sufficient as a racer within five years. In 2005, the Orlando native rose up into the world of pro racing. 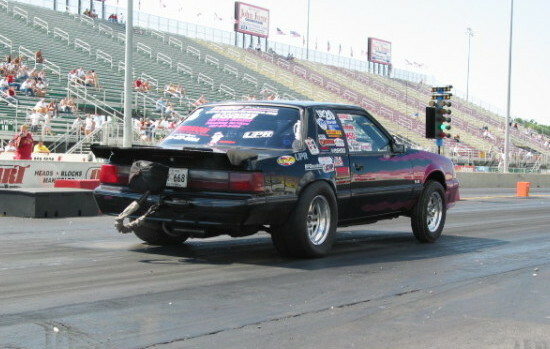 Despite a low budget – Ortiz was working with less than a quarter of the capital of her fellow competitors – she completed a successful rookie year, culminating with a second place ranking at the 2006 Fun Ford Weekend Championships. Unfortunately, after landing as runner-up the economy took a nosedive. This was a significant setback for her: while novice drag racers can be quite successful on a small budget, specifically within the handicapped Bracket Competition, professional racing requires a larger cash flow. Pro racing is filled with corporate sponsors, salaried crew teams, and professional ownership. And, most importantly, there’s a direct correlation between cost and speed. So although Ortiz spent her pro career living a “Cinderella” underdog story, the economy crash took a hard toll on her already limited budget as sponsors were forced to pull out, and Ortiz was forced to take a haitus from racing. But today – more than a decade since Ortiz entered the world of motor sports – women racers are truly starting to infiltrate the sport. During drag racing’s 2015 NHRA Gatornationals, taking place this year March 12 – 15, nine woman drivers suited up for the races, including Courtney Force, Erica Enders-Stevens, and Angelle Sampey. And women are not only joining the sport, they’re excelling at it. Some try to attribute their success to weight, but as Ortiz points out, drag racing has a minimum weight requirement. 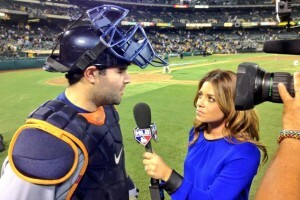 Instead, she notes that women have great reaction times, and that men and women react differently when under pressure. Despite her break, Ortiz is still an avid fan of motor sports. In fact, the 34-year-old has spent the past five years writing her own “Women in Motorsports” column for examiner.com, and just last year, the new mother began to revitalize her Horsepower & Heels brand. The site has been retooled to be an even more useful resource for women in racing. Her hope is that both outlets will not only offer tools for women and girls entering the sport, but also create a community. And if that weren’t enough, Ortiz – who also works “by day” as a marketing communications manager – is preparing to make her drag racing comeback later this year. Earlier this month, Ortiz took some time to chat with SharpHeels about her work as a drag racer, her return to the sport, and the importance of advocacy. Tell me a bit more about Horsepower and Heels – when and why did you start it? How does it feel to have so many “first woman in FFW history” titles? It’s a little bit of everything – in an ideal world, we would be recognized for just racing. But it’s hard to break into this sport and it’s something I’m proud of, especially if it helps pave the way for others to get into racing. I’m very, very proud that that door is open now. How has being a woman racecar driver influenced your career as an advocate for women in the sport and also a writer? Well, overall I’d say it makes me more aware of the bigger picture. Motor sports in general gives you an empowering feeling. Every day you go out there and put it all on the line in these adrenaline moments. So in the day-to-day little obstacles begin to feel like no big deal. Everything else is a cakewalk. Racing has also made me aware of women rights in general and the glass ceiling everyone talks about in the business world. I believe that the same struggles women see in business is magnified in motor sports. I now apply what I’ve read about thriving as a businesswoman to the niche of women in motor sports. Horsepower & Heels’ goal is to make drag racing a space for women racers — why do you think that space needs to be made? I know that especially in today’s day and age, the car doesn’t care if the driver is male or female, so you wouldn’t think that diversity would be an issue, but it really is. Even when we think there’s equality, there’s still a very real glass ceiling. Women [in racing] endure things that men just don’t. As a woman, you’re under a microscope that scrutinizes your every move. How are you going about bringing women to racing? I try to promote the success of all women in sports. The column I write covers real success stories, because the more we can share the success of women in racing, the more it becomes an acceptable thing. I know that in business, women can often alienate each other, and that applies to racing as well. Since I was the first woman to break down some of the racing barriers, there was a competitive factor for a while. But there’s more strength if we’re out there – together – in numbers. The more we talk about breaking barriers, the more we’ll break! On a lighter note, what’s your car of choice? Mustang. I’m a Ford girl through and through. What’s next for you as a driver? Has your hiatus come to an end? Yes! I’m going back. Currently, I am actively putting the car back together and finding sponsors. Hopefully, I’ll make a late 2015 debut in the new car, but it could be in 2016, depending on sponsorship. How do you get sponsors, and do you look for ones that align with Horsepower & Heels? We look for companies we feel we could represent well and also provide a good mutual return for. We have great reach to the female demographic, and a story that is appreciated by a wide variety of audiences. How do you balance a full-time job and racing? Very little sleep, and a lot of To-Do lists. It’s not easy. I am always thinking of the next thing I have to do. If a young girl came to you asking for advice on breaking into racing, what would you tell her? The biggest advice I always give is: no matter what your goals are – to be the next NASCAR superstar or to just get out there and work on your own car – the most important thing is to do one small act each day to get you closer to your goals. It can be reading articles, or working on your own car – anything that will help you gain knowledge. Also, because it can be difficult to find racing help for women, I’d suggest reading articles aimed at women in business. It’s useful and easy to draw parallels.